How much do Easy Glass Splashbacks glass splashbacks cost? A. Easy Glass Splashbacks glass splashbacks are priced per square metre. To obtain a price for individual glass splashback panels, please use our Price & Buy calculator. For pricing on jobs with more than one splashback, or for our measure and fit service, Please contact us. Freephone 08000 355614. How long will my splashback take? A. We offer the quickest turnaround times in the industry for bespoke sized splashbacks as we do everything here on site in Avon. Our turnaround time for bespoke sizes is 7 – 10 Working Days. For the more standard sizes then we can do this even quicker at 5 Working Days. Our Standard Sizes are 600mm x 600mm, 600mmx 750mm, 800mm x 750mm, 900mm x 750mm and 1000mm x 750mm. Please take a look on our Factory Page to order standard sized splashbacks. A. Absolutely, Our glass has a 10 year warranty that it will not fade, discolor or de-laminate. 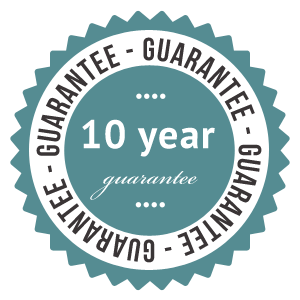 We also offer a 10 year guarantee on the fit of the glass if you use us to measure and fit your new glass panels. Do you measure and fit glass splashbacks? A. Yes, please contact us to discuss our measure and fit service. Freephone 08000 355614. 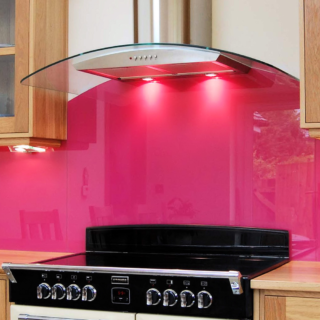 Can I obtain actual samples of the coloured glass splashbacks? A. Free glass samples are available on request and we recommend that you have a sample before ordering your glass panel as colours look different on your computer screens. Please use our contact page to request actual glass samples. What if I want a colour different from your standard glass splashback range? A. We can mix virtually any colour, but there will be a small charge for glass samples of our non-standard colours. To mix a bespoke colour, please send us a sample colour to match. We are also able to mix all Ral, BS, Dulux, Farrow & Ball colours. Can I have holes or cut-outs in the glass splashbacks? A. Yes. Easy Glass Splashbacks are specifically intended for kitchen glass splashbacks and glass shower walls, so cut-outs for sockets and holes for shower fittings are not a problem, but must be cut in our workshop prior to toughening. Once toughened, the glass cannot be cut or drilled. Cut-outs in glass splashbacks for electrical sockets should generally be at least 50mm from the edge of the glass splashback or from each other. If sockets are placed side by side the boxes must be placed so that the socket covers sit tight against one another. The sockets sit on top of the glass splashback. 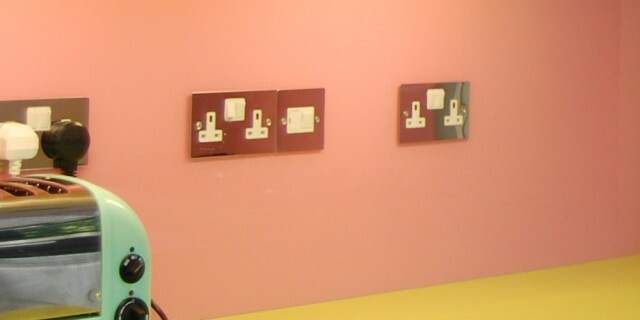 Please ensure your electrician leaves plenty of wire so sockets can be fed through the glass splashback cut-outs. Are Easy Glass Splashbacks glass splashbacks heat resistant? A. Yes, our glass is always toughened, we do not supply untoughened glass! The glass splashbacks and splashback coating are heat resistant and will not crack behind the hob. Please see our Toughened Glass Splashbacks page for more information. Are Easy Glass Splashbacks glass splashbacks safety glass? A. Yes. 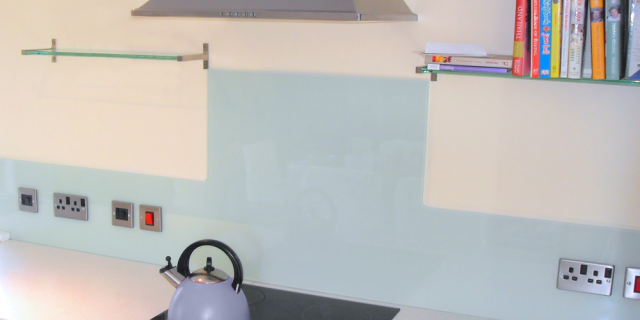 All Easy Glass Splashbacks glass splashback panels are toughened glass to BS6206. Can you cut shaped glass splashback pieces? A. 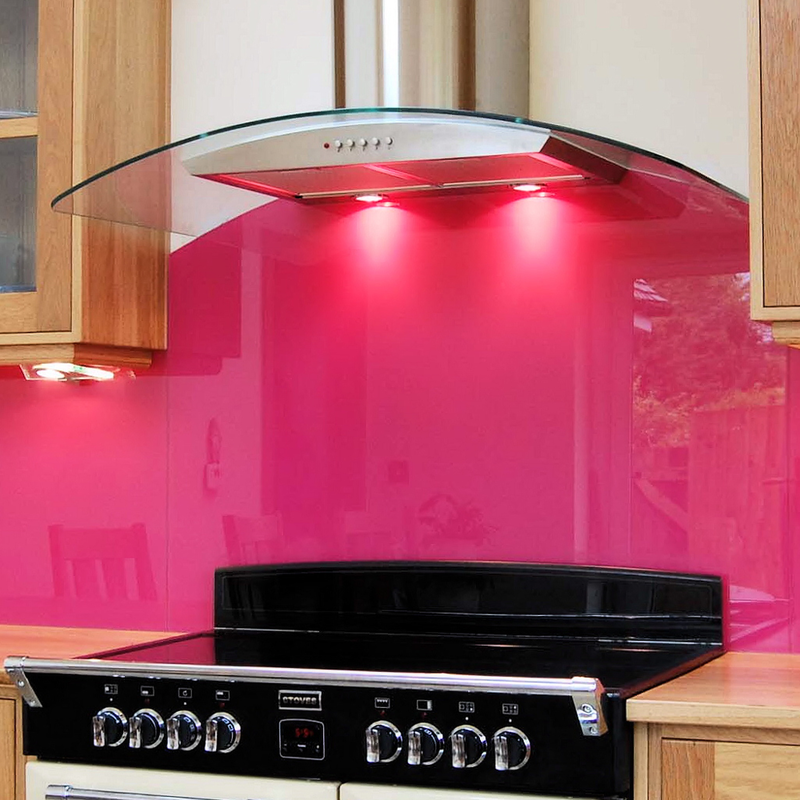 Easy Glass Splashbacks glass splashbacks can be can be curved or shaped to accommodate cooker hoods, and ‘L’ or ‘T’ shapes (i.e., where there is a change in height). You may fit your extractor fan to the top of a curved or flat glass splashback. 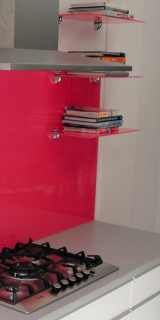 How thick are Easy Glass Splashbacks glass splashbacks? A. Our glass splashbacks are made as standard from 6mm toughened, low iron glass. Can I fit Easy Glass Splashbacks glass splashbacks myself? A. Fitting a single glass splashback panel is easy, and we would recommend you do this yourself, with the silicone glue that we provide. However, when several glass splashbacks need to be measured to fit together this is much more difficult. Unless you are an extremely competent DIYer, we would recommend that you employ a professional to measure and fit, or take advantage of our fitting service, when more than one glass splashback panel is required. If you are measuring yourself, we suggest you go to the trouble of making glass splashback templates from 8mm MDF. If the MDF templates fit, the glass splashbacks will fit. From our own experience, we know that there are many pitfalls! Please see our Measure & Fit page for further information. Does the wall need to be flat and in good condition? A. The wall needs to be free of bows, twists or raised areas over approximately 2-3mm. Any sharp areas need to be sanded. Unevenness less than that depth can be taken up by the adhesive. All walls must be sealed using either PVA or emulsion paint. The walls will be obscured by Easy Glass Splashbacks glass splashbacks, so the surface does not need to look pretty. Wiring must be chased into walls and any light fittings should be fitted, allowing at least 10mm for the thickness of the glass splashbacks. Can I fit Easy Glass Splashbacks glass splashbacks on top of my existing tiles? A. We do not recommend this. How are the glass splashback edges finished? A. 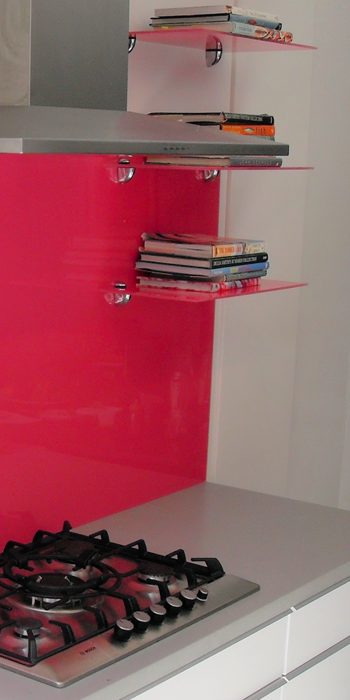 All external glass splashback edges are polished and have a 1mm bevel. Can I pick an image from Shutterstock for example? A. Yes, Please look on Shutterstock.com for your perfect image and make a note of the ID number. Then in our Price and Buy page please select the Print option at the bottom of the dropdown box and put the ID number in the ‘Print Name’ box. We will then download and resize the image for you and send you an image proof for your approval.